At the 6717th meeting of the Security Council, held on 21 February 2012, in connection with the Council’s consideration of the item entitled “Peace and Security in Africa” with focus on “the impact of the transnational organized crime on peace, security and stability in West Africa and the Sahel Region”, Ambassador Francisco Jose Madeira, Special Representative of the Chairperson of the AU Commission for Counter– Terrorism Cooperation, and Director of the ACSRT issued the following statement on behalf of the Chairperson of the African Union, Dr. Jean Ping. Today’s debate is of particular relevance to the efforts being made by the African Union to address the multi‐faceted challenges facing the continent in terms of peace and security. The Common African Defense and Security Policy, adopted by our Union in 2004, has clearly defined what Africa’s security and stability rests upon. The Policy emphasizes not only the traditional threats, such as intra‐state conflicts, but also non-traditional threats emerging from a changing international environment, including transnational organized crime, ranging from arms, drugs and human trafficking contraband, smuggling to piracy and money laundering. Today, the impact of transnational organized crime is more evident than ever before. 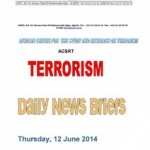 More alarmingly, crime is converging with other transnational threats, such as extremism and terrorism. Failure to address these threats comprehensively, effectively and collectively puts at risk the very foundations of viable democratic states in Africa which our people have been striving for since independence. The African continent is particularly vulnerable to transnational organized crime. Porous borders, weakened states institutions as a result of prolonged civil strife, poverty, environmental degradation and challenges to securing natural resources, are but a few of these vulnerabilities. Response to these threats should therefore be comprehensive and multi‐dimensional. In view of these challenges, strong commitment from all stakeholders is an imperative. In a globalized world, criminal networks span continents, and Africa is being affected by crime spill over from other regions. We can no longer afford to think in terms of national‐interests alone. We need to carefully envisage how we can best respond to internal and transnational threats. 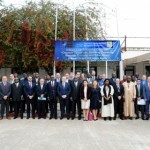 Over the past few years, West Africa, the Sahel region and the continent as a whole have undertaken commendable efforts towards putting in place joint decision‐making and operational mechanisms to combat crime, terrorism and piracy. Their efforts deserve the full support of the international community. 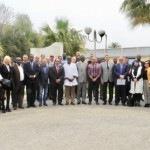 As recently as the 29th of January, at the initiative of the African Union, Ministers and other Senior Officials of the countries of the Sahel region met in Addis Ababa to discuss common security challenges, on the basis of the report and recommendations of the Joint AU‐UN Assessment Mission on the Impact of the Libyan Crisis on the Sahel that visited the region in December 2011. I am pleased to inform you that, in a few week’s time, an experts’ level meeting will be convened by the African Union, in collaboration with United Nations, to agree on the required follow up measures. This will be followed by a meeting of the AU Peace and Security Council on the situation in the Sahel. As we redouble our efforts to confront transnational crime, we need to enhance the effectiveness of our action through institutional building and reform. We equally need to strengthen the rule of law and accountability, in order to curb crime in a sustainable manner. We also need to realize that confronting crime is not only about patrolling borders and waters – we should indeed commit ourselves to creating alternative economic opportunities to the most vulnerable sections of our population, in order to address the underlying conditions that give rise to crime, poverty, environmental degradation and social exclusion. 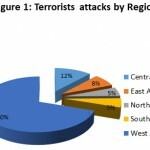 Over the past few years, various studies and research have been conducted and many more reports were written on the growing threat of transnational organized crime in West Africa, the Sahel region and Africa as a whole. Now we need to start talking about what is it that we can do, in the spirit of shared responsibilities, to confront this menace. In Africa, efforts should focus on the implementation and effective follow up to the numerous instruments that have been adopted.